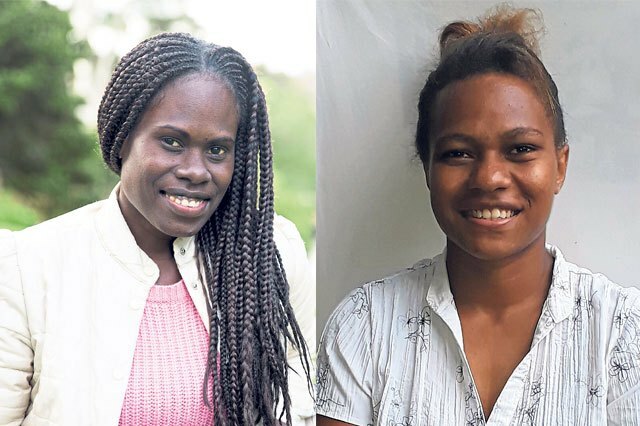 Two youth leaders from Papua New Guinea were named as finalists in the 2017 Commonwealth Youth Awards. The founder of a youth-led organisation in PNG that uses sport as tool to end violence against women Jacqueline Joseph and architect Raylance Mesa are among 17 young change-makers from 13 countries are in the running to be named Commonwealth Young Person of the Year at an awards ceremony to be held on March 15 at Marlborough House, London. The finalists were chosen by a panel of judges including representatives of Commonwealth High Commissions, Commonwealth organisations and young leaders. The shortlisted finalists hail from Australia, Bangladesh, Canada, Guyana, Jamaica, Malawi, Nigeria, Pakistan, Papua New Guinea, Sri Lanka, Saint Vincent and The Grenadines, Uganda and United Kingdom. Jacqueline Joseph is the founder of Equal Playing Field, a not-for-profit organisation that uses sport as a tool to prevent violence against women and children and promote gender equality in schools. She created Equal Playing Field for school (EPF4S), an eight-week respectful relationships programme that uses sport to engage with adolescent boys and girls to promote gender equality. Through the programme, Joseph educates around two thousand 13 to 15-year-old girls and boys in schools in Port Moresby each year about the importance of respectful relationships as a way to reduce family and sexual violence. While Raylance Mesa is an architect working to promote quality education for rural schools while also building critical infrastructure such as libraries, schools and housing for teachers. She also led awareness raising campaigns on climate change resulting in island communities building sea walls constructed from dead coral reefs, coconut trunks and logs.